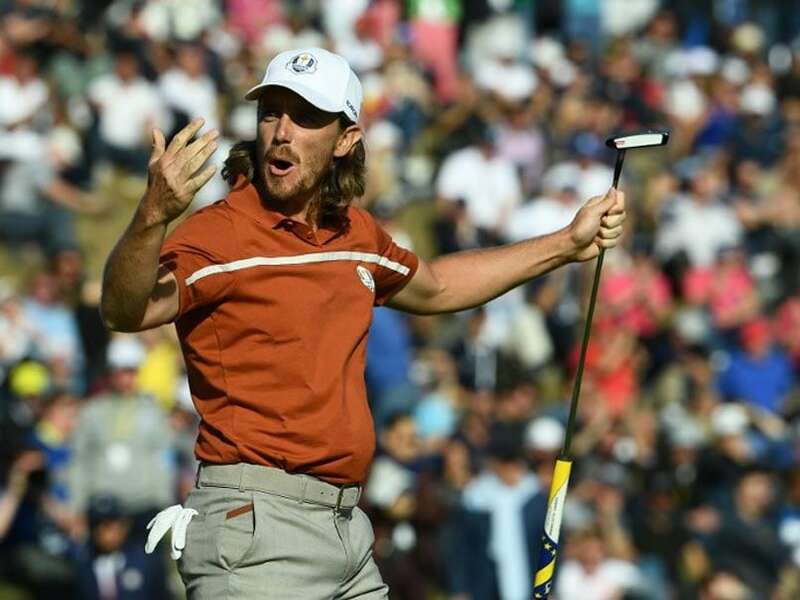 Tommy Fleetwood and Francesco Molinari propelled Europe into a commanding position with a rare sweep of their four pairs matches to give the hosts a 10-6 lead over the United States going into the final day of the Ryder Cup. Ryder Cup rookie Fleetwood and Molinari became the first European couple to claim four points from their opening four matches, inflicting a pair of defeats on Tiger Woods in Saturday's fourballs and foursomes at Le Golf National. They were just the second pairing to go 4-0 in team matches since 1979, joining American duo Larry Nelson and Lanny Wadkins who achieved the feat at The Greenbrier. "We were really, really good this afternoon," said Fleetwood. "We played really solid, we played really well. But yeah, about the piece of history together, it's very special." 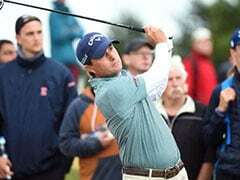 British Open champion Molinari, winless in two previous Ryder Cup appearances -- in 2010 and 2012, warned the job is not yet finished for Thomas Bjorn's side ahead of Sunday's 12 singles matches. 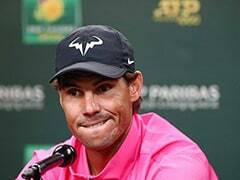 "We came here to do a job, and it wasn't to go in the records books or anything like that, it's about the team, it's about getting to 14 1/2," said the Italian. "We're getting closer, but those 4 1/2 points we're going to need tomorrow, we're going to have to fight hard for them." No European player has scored five points from five in Ryder Cup history, with US trio Arnold Palmer, Gardiner Dickinson (both in 1969) and Nelson (1979) the only golfers to accomplish it. Woods has endured a miserable return to Ryder Cup play after a six-year absence, losing all three of his matches in France to drop his record in pairs events to 9 and 19 with one draw. "Everything feels pretty good. 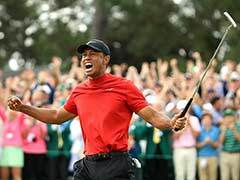 Just pretty pissed off, the fact that I lost three matches, and didn't feel like I played poorly," said Woods, on the winning just once in seven Ryder Cups. "That's the frustrating thing about match play. We can play well and nothing can happen." Johnson and Koepka pulled to within one on the 15th, but Stenson displayed nerves of steel to sink vital putts at the 16th and 17th -- the latter sealing the win as Koepka's ensuing effort rolled wide. Jordan Spieth and Justin Thomas have picked up half the Americans' points in France, beating Rory McIlroy and Ian Poulter 4 and 3 in the foursomes after triumphing in the morning fourballs. Meanwhile Garcia, who earlier teamed up with McIlroy to beat Koepka and Tony Finau in the fourballs, became the second highest points scorer in Ryder Cup history with 24.5, but the Spaniard will have to wait until Sunday to have a chance to surpass record-holder Nick Faldo (25).